I’ve talked about her before. The woman who had been bleeding for twelve years. I mean… the story has always grabbed me. It’s just so… me. Although I haven’t been bleeding for twelve years… I’ve been EATING for 34 years. My favorite miracle has always been the woman in Mark 5 who had been bleeding for years. She had suffered… for twelve. years. And I know that some people have already heard this about her and the background around her, but just in case someone had missed it… not only had this woman been suffering physically, but she had also been suffering socially. A woman that was bleeding was considered “unclean” (for obvious reasons) and was not allowed into the community. For most women this would only last a week or so but this woman had not been allowed into her community, her church, possibly even her family for twelve years. A woman in the crowd had suffered for twelve years with constant bleeding. She had suffered a great deal from many doctors, and over the years she had spent everything she had to pay them, but she had gotten no better. In fact, she had gotten worse. She had heard about Jesus, so she came up behind him through the crowd and touched his robe. For she thought to herself, “If I can just touch his robe, I will be healed.” Immediately the bleeding stopped, and she could feel in her body that she had been healed of her terrible condition. Jesus realized at once that healing power had gone out from him, so he turned around in the crowd and asked, “Who touched my robe?” His disciples said to him, “Look at this crowd pressing around you. How can you ask, ‘Who touched me?’” But he kept on looking around to see who had done it. 1) The woman had tried all the ways of the world to be healed and had gotten worse. Not only was she suffering physically, socially, but now she was also suffering financially… and had gotten worse. I identify with this when I think of the money I spent on “good for you food” that wasn’t that good for you… on SlimFast (yeah, remember what a waste that was for me? )… on pills… teas… herbs… exercise equipment… you name it, I probably bought it. And yet, at the beginning of this covenant I was worse off than I had ever been… eating a mixing bowl full of cookie dough. But I suppose that is what drove her to go to Jesus. She had nothing… literally, nothing… to lose. An unclean woman touching a rabbi could have gotten her in some big trouble. And she would have made Jesus unclean as well. But all she wanted was healing. All I wanted was healing. And I had nothing to lose by going this way with Jesus. By allowing Him to “clean me up”. Over. Done. Gone. Forgotten. Closed. Completed. Ended. Finished. Past. And I like to imagine her as the crowd’s attention, and Jesus’s attention, was turned toward Jairus because his messengers arrived telling him that his daughter had died… I imagine her still on her knees. Watching as the crowd walked away. Watching as Jesus walked away. I imagine that it must have been like seeing the world for the first time in 12 years… seeing that it could be full of hope. full of beauty. full of peace. full of relief. And then I see myself in such the same way. Jesus has ended my suffering. He has ended my slavery to this lust for food. And now, because I am healed. Because I am no longer suffering, then I can… Go. In. Peace. I have taken a bit of a break from my “Read Through The Bible In One Year” plan. It was just bringing me down. Yeah, I said it… the Bible was bringing me down. No wait. It wasn’t so much The Bible was bringing me down as it was my reading plan was bringing me down. It had gotten to the point where it had become a chore. And I was reading through all of these doomsday prophets and… I just did not want to read anymore. Until my Transforming Prayer bible study leader pointed out the concept that I wrote about on Day 269 that says, “The antidote for spiritual lethargy and heaviness is to put on a garment of praise.” And I decided to take a run through the Psalms… very refreshing. So yesterday, I decided to look on YouVersion and see if there were any reading plans focusing on the Psalms, and when I opened up the “plans” section, my old reading plan was on Day 333. It’s a bit of a back story, but God has shown up in our lives several times in conjunction with the number 333. It became my husband’s fav number after Psalm 33:3 was the inspiration verse for his product and then it was like God would use those numbers to remind us that He loves us and cares for us… like having all 25,000 of the dice for his product delivered at 3:33pm. Yeah, we totalllllly kept that confirmation slip from FedEx! My heart kind of caught in my chest… especially after Day 288 being entirely about getting a bunch of clothes from my friends. But the words are too pointed and too clear to be mistaken. And I was thinking that there are four basic things I put on every day that I could use to remind me to pray for those words. Feel free to laugh at my associations but I’ll probably remember them!!! And what a great way to pray for those things every day? I get dressed every day… and I could pray for God to help me be humble. full of tenderhearted mercy. gentle. and kind. 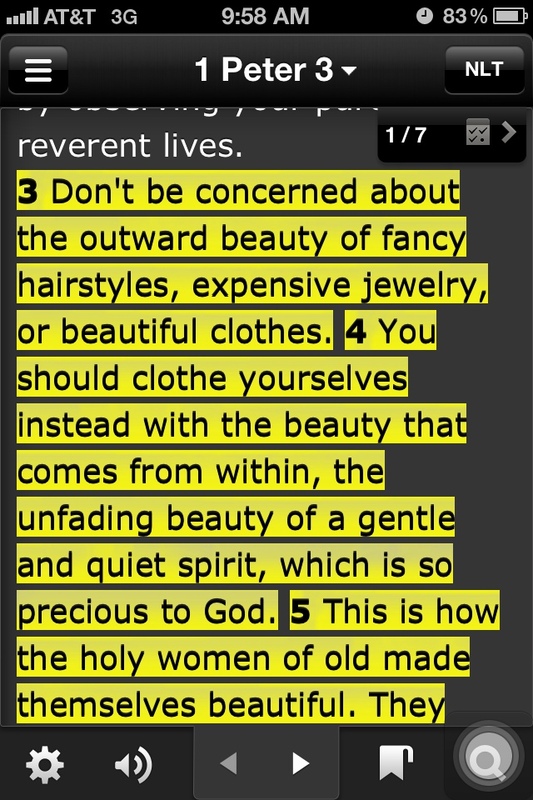 And then I won’t have to worry about my outfits as much… cause it will be God making me beautiful.